5 - 50 in. lb. .4 - 4.2 ft. lb. 25 - 250 in. lb. 2 - 20 ft. lb. 60 - 600 in. lb. 5 - 50 ft. lb. 300 - 3000 in. lb. 25 - 250 ft. lb. 720 - 7200 in. lb. 60 - 600 ft. lb. Optional Cables: Part Number P113-50 Computorq to 9 Pin P.C. N.I.S.T. 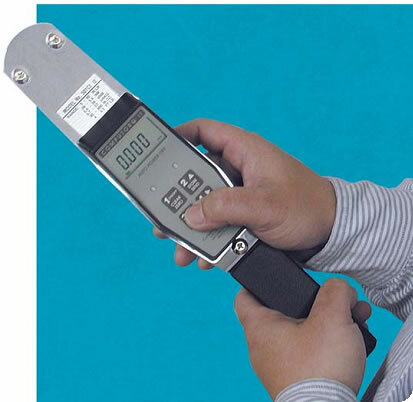 traceable calibration certificate included. 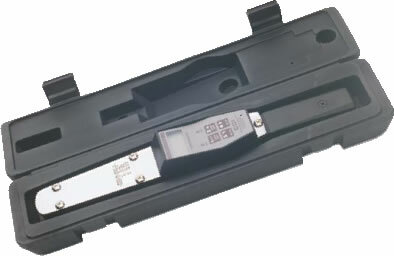 The COMPUTORQ II is our state-of-the-art Digital Programmable Torque Wrench. It has many applications, including precision torquing of critical fasteners, tracking applied torque for quality control testing, as well as destructive component testing. The Computorq II is easy to program using the soft touch keypad. Simply program a “target” torque including upper and lower limits, and the wrench will signal with a beep when that torque setting is reached. If the user exceeds the target torque, an alarm tone sounds and the red light flashes. Computorq II is available in six models with 范围s from 5 in. lbs. up to 1000 ft. lbs. Selectable modes of operation are "Peak Hold" and "Track"
Available torque 范围s from 5 in. lb. to 1000 ft. lb.